7 –Manna Who Changed The Order? Tracks 9 & 11: Produced, arranged and mixed at Pravda Studio. Track 1: Published by Strictly Confidential. Tracks 2, 5 & 9: Published by Chrysalis Music. Tracks 3 & 10: Published by R&S Records. Track 7: Published by Chrysalis Music/Spirit Song. Track 8: Published by EMI Music Publishing. Track 11: Published by Chrysalis Music/Copyright Control. Track 12: Published by Mute Song Ltd.
Track 13: Published by Miserable Beast Music. 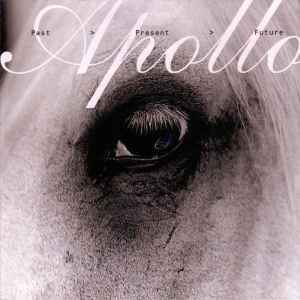 Apollo is a subdivision of R&S Records.